Investors punished new CEO Louis Camilleri in August for calling his predecessor’s targets “aspirational”. Ferrari’s rising EBITDA margin arguably warrants a more stringent target. Yet trade war fears and volatile Chinese regulation mean Camilleri is right to exercise caution. 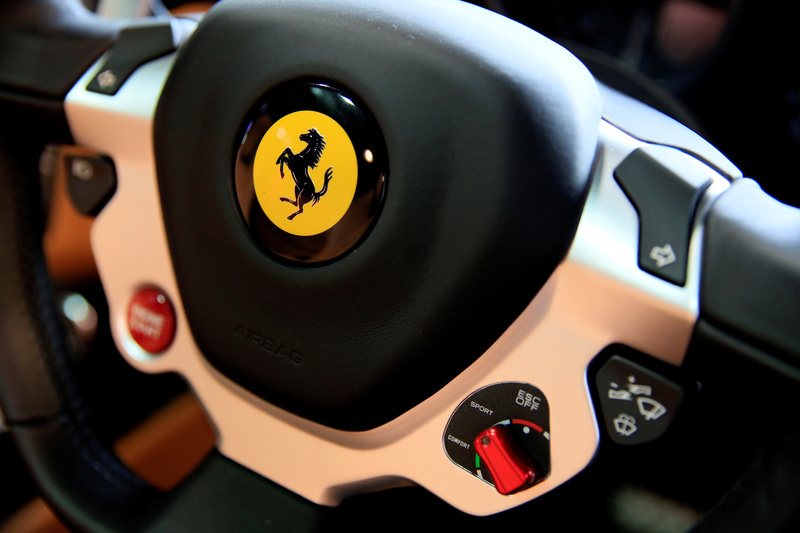 The steering wheel of a Ferrari at a car dealership in Singapore June 1, 2017. Ferrari reported adjusted EBITDA of 278 million euros in the third quarter of 2018, up from 266 million euros a year earlier and slightly below a 282 million euros Refinitiv estimate. Ferrari’s adjusted EBITDA margin rose to 33.2 percent from 31.8 percent a year earlier. Sales were roughly flat at 838 million euros. - Ferrari promised on Sept. 18 to increase its adjusted EBITDA margin to more than 38 percent in 2022 from around 30 percent in 2017, not far from luxury group Hermes’s margin of above 39 percent. Ferrari also said on Sept. 18 it would double its adjusted EBITDA to between 1.8 billion euros and 2 billion euros by 2022, part of its business plan under new Chief Executive Louis Camilleri. Camilleri replaced in July former boss Sergio Marchionne, who died following complications from surgery. Ferrari shares were down 2.2 percent to $116.87 at 1449 GMT in New York on Oct. 5.